Fred was certainly one of the best musicians in the Round Peak area. While Tommy Jarrell was outgoing and never met a stranger, Fred was more reserved and circumspect. But when he let loose on the fiddle or clawhammer banjo there was no one any better. I first went to Fred’s house in 1973. He took out his Kyle Creed fretless banjo with the gold-flecked Formica fretboard and did “Roustabout” accompanied by his gravely baritone voice. It is still one of the most powerful pieces of music I ever heard. 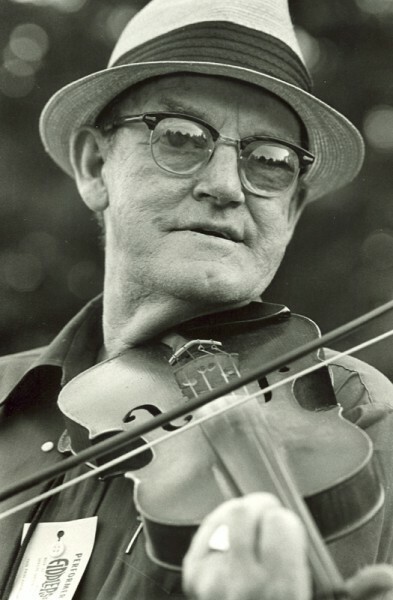 Fred was born in 1905 and was one of the few “musicianers” in Surry County, NC that tried to make a living playing fiddle and banjo. It was a tough life but it honed Fred’s music to a razor sharp edge. While he patterned his banjo playing after Charlie Lowe, his fiddle style was patterned after Nashville’s Fiddlin’ Arthur Smith who used the long bow technique. Fred was able to adapt this more modern fiddle style to the regional Round Peak playing. His playing was driving and intense. Fred often spoke about his days with a medicine show called the Ruby Tonic Entertainers. They sold a rhubarb salve made by the South Atlantic Chemical Company. 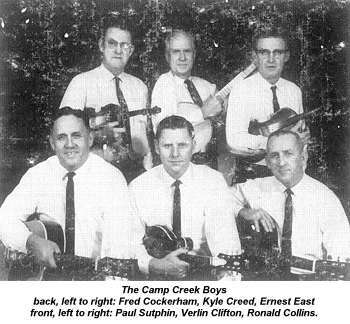 In the 1960s he was part of the Camp Creek Boys, one of the finest old-time bands ever. Their playing influenced a couple of generations of younger old time musicians.